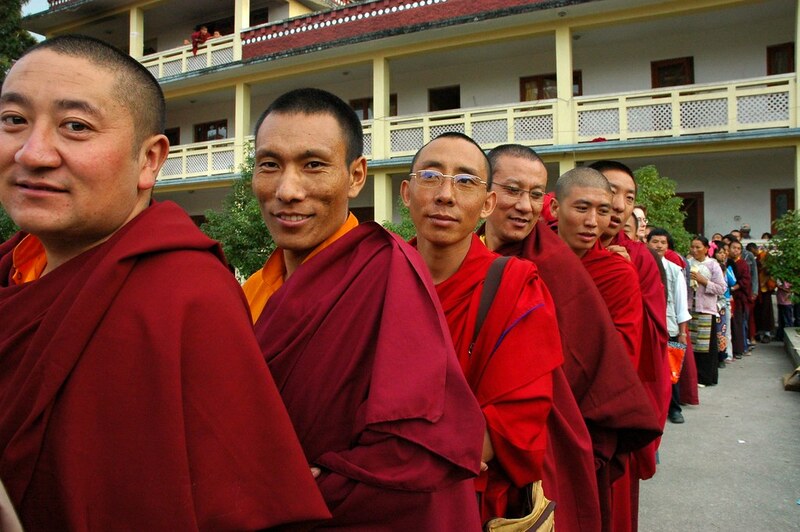 Writing in the July 26, 2018 STAT, Justin Chen describes a program at Emory University in which university professors and Tibetan Buddhist monks and nuns are engaged in updating traditional monastic studies. The Emory-Tibet Science Initiative (ETSI) grew from "a personal relationship between the Dalai Lama and Robert A. Paul, a psychological anthropologist and former dean of Emory University." The program includes classes "in the philosophy of science, physics, biology, and neuroscience." Tom Wilkie, a biology instructor in the program who teaches at University of Texas Southwestern notes a difference between the aim of western students of science and that of monastic students who personalize their studies who are "'really trying to understand how the scientific approach can be used in the context of Tibetan Buddhism to understand their world.'" Curriculum design has had to take into account that monastics had never studied mathematics and also that their learning relies almost exclusively on memorization. The new curriculum includes learning to take notes and writing laboratory report. The first class is in the final year of the six-year curriculum. Currently, "science classes have become part of the core curriculum in nine monasteries and five nunneries." Chen calls attention to the dominant mode of instruction: lecture but it is one with a difference. "The pacing of the classes is deliberate as teachers pause every few sentences so that translators can relay information to students. Teachers have adapted by using these breaks to review what they have just said and to carefully consider their next statements. The result: a more reflective learning experience that's difficult to find in an American classroom." Chen's article may be read at STAT and includes a couple of photographs of monks in the lab. The web pages at the Emory-Tibet Science Initiative provide all kinds of information about the program, e.g., a glossary of terms, photographs, videos and textbooks for the courses (videos for four years of the classes), a video for prospective U. S. scientists, distance learning, the long-term objective of the program, and background material.